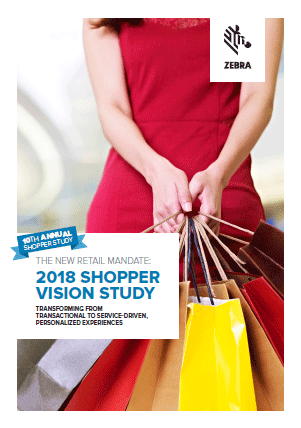 Zebra's 10th annual shopper study surveyed nearly 7,500 consumers globally to gain a deeper understanding of shopper satisfaction and retail technology trends that are reshaping brick and mortar and online stores. The Shopper Vision Study summarises the results of the analysis and highlights the changes in consumer preferences over the last decade. For a sneak preview, take a look at our Infographic and YouTube video.